I’d like to say that my family hangs up their coats and keeps everything tidy when they enter the home, but sadly the muddy shoes get kicked off, book bags and purses dropped, and coats end up draped along the back of chairs. We need a mudroom to help organize our chaotic clutter! I gathered together some marvelous mudroom ideas for those of us with small spaces and a few large mudrooms that will make you swoon. My good friend Jessica from Four Generations One Roof transformed an awkward, unused space into an amazing Multi-Purpose Mudroom. The room accommodates a full wall of built in storage, an inviting reading nook, plenty of hooks for coats, and a storage bench. Be sure to hop on over and see all this mudrooms features and before and after pictures! An easy and inexpensive DIY project is this mini mudroom made from IKEA Billy Bookcases and a bit of bead board and trim. It cost $324 and looks like custom built-ins! Utilize empty wall space. Beth from Home Stories A to Z dressed up a tiny wall area by adding board and batten, hooks, and a shelf ledge for storage baskets to hold keys and cell phones. A few lower hooks are the perfect height for her young boys to use. 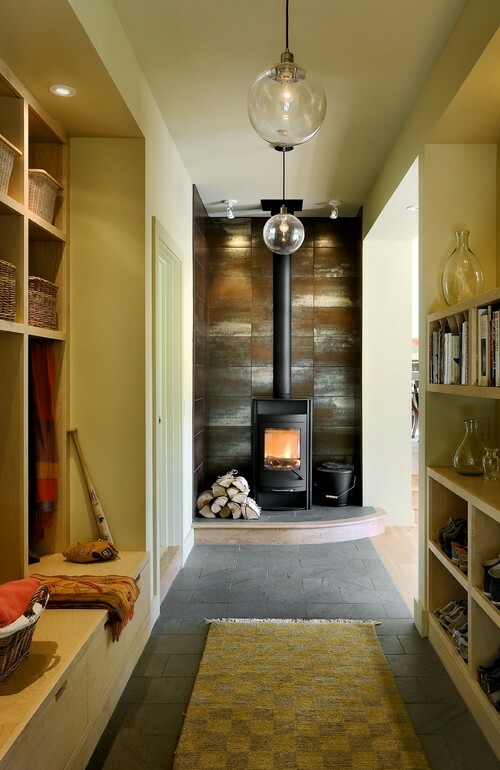 Consider flooring options when designing a mudroom. Tile, stone, and brick flooring are durable and easy to clean. These dark slate floors disguise any dirt that might get tracked in. Provide a space for people to sit while getting on the winter gear. Make a long bench from reclaimed wood and tuck boots and shoes under it. Melissa from 320 Sycamore created a long seating area in her mudroom by pairing two benches side by side. She made the benches from an old coffee table she cut in two! Each family member can get their own basket to store their belongings. I’m in love with this simple mudroom area! Purchase a shelf and coat rack from the hardware store and accessorize it with small framed numbers printed from your computer, baskets for storage, artwork and collectibles. Not only is it functional for a small family but looks great! This room was done by Amy at Home Remedies Rx who lived in my area and has since moved back out west. We are all crazy for cubbies. Cubbies can be assigned to each family member and that way items are kept separate and more organized. My family would need six! 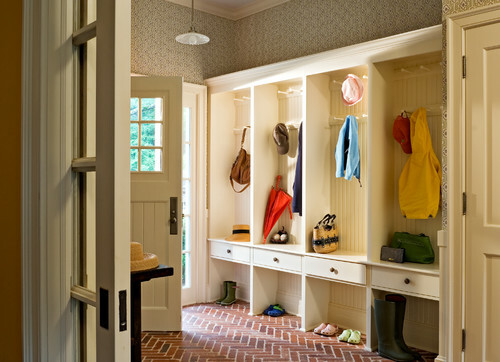 Here is a drool-worthy mudroom! It’s the small details that make this room so stunning. Notice the bead board walls, paneled ceiling, the arch motif repeated throughout the design and the stenciled floor. Sliding open drawers hide shoes and allow for easy access and air circulation. If you aren’t a fan of exposed storage, try this option. Large lockers hide coat and clutter away from view. Instead of plain doors, create a family calendar or message board by painting the doors with chalk board paint. 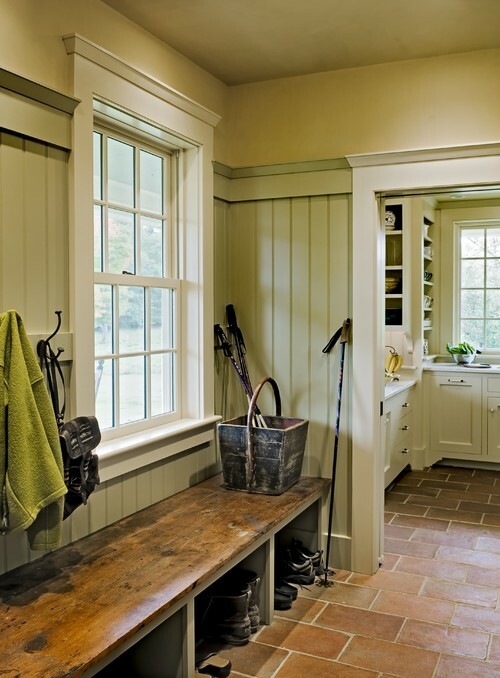 Ready to create a mudroom? I am. Big space or small, those mudrooms had some great storage solution ideas!Which feature would be your must-have? You might also like these posts on Storage Solutions! 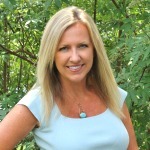 Thanks lady for featuring our room! 🙂 I could look at mudroom pictures all day everyday and dream. Everytime I look at rooms I think, “oh I want that!” . haha. Thanks for the amazing ideas! Love them all! thank you so much! this really helps me get an idea on how to do my mud room with a little piece from every picture! can’t wait! We live in Montana in a home that we built (and I designed) and we planned a nice, tidy mudroom off of the garage. However, I have to laugh, because it still doesn’t hold all of coats and shoes. With two teenage children who have shoes that are bigger/larger than ours, we seem to always be battling the mountain of shoes/boots/flip flops/water sandals that pile up under the coat hooks. I still have two (LARGE) storage bins in my basement for all the off season hats, coats, umbrellas, mittens, scarves galore, boots. Every time the season’s change, I lug the storage bins upstairs and re-organize everything. I realize now that real mudrooms are launching pads, messy, used to the max, and so awesome to have.